Did You Know? San Francisco is considered the most dog-friendly city in the world. There are an estimated 150,000 dogs here, and nearly 108,000 children. 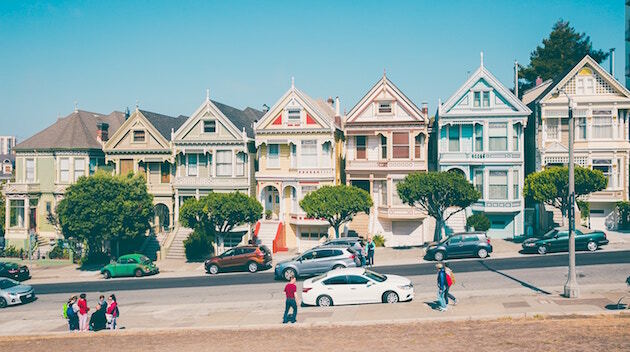 So of course San Francisco residents need trusted, reliable house and pet sitters, whether they are working long days or traveling the world. Imagine waking up to sweeping views of the Golden Gate Bridge, listening the sounds of cheering Giants fans, hitching a ride on a historic cable car, savoring clam chowder on a pier or getting lost in the hustle and bustle of some of the worlds’ top business leaders. San Francisco is a city that welcomes all, and has something for everyone. While the actual city measures just 49 square miles, the surrounding environs of Marin County, the East Bay and the South Bay make the San Francisco Bay Area a much larger, and undeniably booming, metropolis. 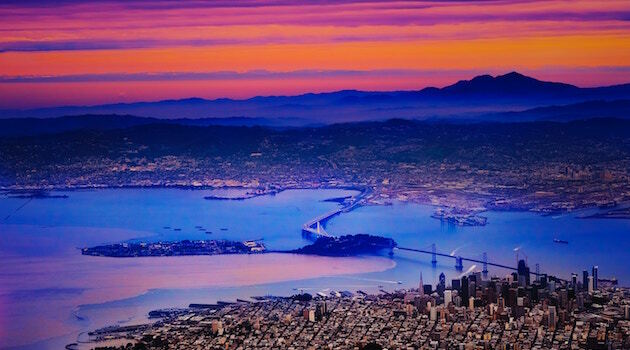 Depending on where you stay, you will discover a different side to City by the Bay. Fortunately, public transportation like BART to and from the East Bay, the ferry to and from Marin, CalTrain to and from the South Bay and Muni throughout the city make exploring fun and accessible. This is where an upwardly mobile crowd takes in views of the bay and Golden Gate bridge as they swill chardonnay after yoga. Pets love long walks to the waterfront Marina Park, which offers scenic views, walking paths, picnic tables and benches where you can rest, people watch and enjoy picture-perfect scenery. With easy access to AT&T Park (go Giants!) and some of the hottest restaurants and bars in the city, it’s no wonder that so many of today’s tech wunderkinds flock to SOMA. It seems there is a museum or gallery on every corner, nightlife abounds (think speak-easies and dance clubs) and the Financial District is just a stone’s throw away. For a quieter side of the city, head to Noe Valley. You’ll find strollers and Labradors alike enjoying sidewalk cafes. What the neighborhood lacks in nightlife, it makes up for in charm. This is where gay pride began, and the Castro continues to live life out loud. This predominantly gay and lesbian community offers upscale restaurants and gender-bending bars alike. Keep any furry ones under your care close on Halloween: the neighborhood goes off as thousands of costumed locals and visitors alike flock to the streets. Filled with single-family homes perched on the cliffs above the mighty Pacific, this is the closest San Francisco proper gets to suburbia. It’s tucked between Golden Gate Park on the north and the Pacific Ocean on the west. Surfers love the beachfront huts, lattes abound and you can watch the fog roll in as it envelopes the city. Next door is the neighboring Richmond District, and both areas are collectively known as The Avenues. In addition to Golden Gate Park, you’ll enjoy easy access to Fort Funston, the San Francisco Zoo and Lake Merced. Mama mia! San Francisco’s rich Italian heritage meets its bohemian legacy here. There are strip clubs, watering holes and some of the best pasta you will ever eat. Washington Square is a great place to take anyone four-legged friend to people-watch and even learn a little Tai Chi. This hotspot has emerged as one of the most popular places in town for everything Latino, and then some. Don’t miss Dolores Park, which is home to a dog park, children’s play area, tennis courts, grassy knolls and more. Nestled high above the Marina and sparking bay, Pacific Heights is one of the most elite neighborhoods in the city. Residents try to keep it casual, but with this much class (and old money) the ritziness can’t help but shine through. Once considered down and out, Hayes Valley has bounced back to become a vibrantly gentrifying neighborhood. Enjoy easy access to the theater and arts, and a funky shopping avenue that mixes swank trendy restaurants with throw-back consignment stores. Sasualito. Tiburon. Stinson Beach. San Rafael. These are just a few of the municipalities that comprise Marin, one of the wealthiest localities in the U.S. with the fifth-highest per capita income. Despite the affluence, you’re more likely to the find the CEO of some global powerhouse in hiking shoes and a tshirt than in heels or wearing a tie. Trails abound and nature is revered in a very eco-elite sort of way, making this an ideal destination for taking care of pets and homes alike. Just across the Bay Bridge, a short drive or BART ride away, are cities like Oakland, Lafayette, Walnut Creek and Danville. While Oakland has an urban, edgy atmosphere—it’s become an attractive living alternative for urban dwellers as city prices have skyrocketed—life becomes more suburban and family-oriented the further east you go. It’s also warmer. When San Francisco is shrouded in fog, the East Bay is often bright and sunny—and usually at least 10 degrees hotter than the city. I have one word for you: dot.com. Yes, the South Bay (San Jose, Menlo Park and Palo Alto, to name a few) is home to one of the most prestigious universities in the world. But it’s Silicon Valley that defines this part of the Bay Area. Housesit here and you’re likely to find yourself within walking distance to Uber’s corporate headquarters, or an incubator about to deliver the latest technologies that will rock our socks. Houses range from ranch-style family homes to sprawling mansions built from the ground-up after another homeowner’s start-up went public. Whatever your personal preferences, there is something here for you to love. All set against an incredibly scenic background that is frequently enveloped in fog, which only adds to the city’s mystique. It’s no wonder that so many leave their heart in San Francisco.